What if NXT becomes the 3rd Official Brand? WWE is arguably the most popular wrestling promotion in the world. It's two main roster brands RAW and SmackDown are in themselves historic shows with both of them running for more than 1000 episodes each. But apart from these two, WWE also has another brand, sometimes referred to as the developmental brand, NXT. Led and run by Triple H, NXT has quickly won over the hearts of fans and critics around the globe with its exceptional wrestling quality and engaging storylines. There is no shortage of talent in NXT, even after NXT talents continuously leave the brand and move up to the main roster every year. A number of NXT graduates like Seth Rollins, Roman Reigns, Dean Ambrose, Finn Balor, Charlotte, Becky Lynch and many more are leading WWE's main roster and helping establish the company as the top dog in the business. In my opinion, calling NXT the developmental brand is unfair to those wrestlers as they are at par (usually even better) than their main roster counterparts. 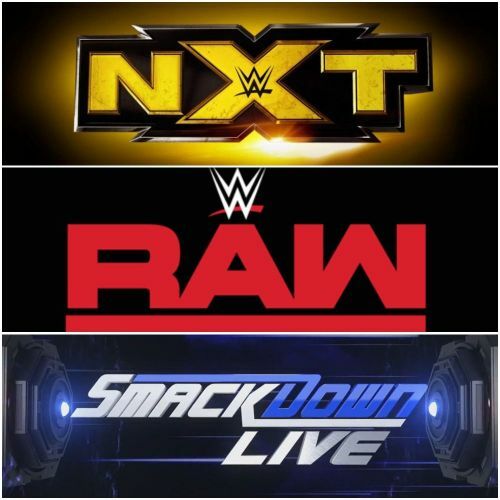 If NXT were to become the official 3rd Brand of WWE along with RAW and SmackDown, I certainly would be very interested to see the superstars of the three brand clash against each other, much like how RAW and SmackDown Live clash at Survivor Series. Only this time, the matches would be all 3-way fights. In this article, let's take a look at my fantasy match card booking for a PPV that will be an NXT vs RAW vs SmackDown clash. Please note, some of the wrestlers booked in this article are not in those brands currently (for example Finn Balor and AJ Styles). Feel free to share your thoughts on this match card and sound off your excitement in the comments section below. Tag Team Wrestling at its best! One thing that the WWE main roster (especially RAW) is usually accused of is its Tag Team Scene. Not many teams are booked properly, also the match quality is not top notch. While on NXT, the situation is the opposite. NXT possesses a top quality Tag Team roster who are booked nicely and deliver amazing matches on a regular basis. A 3-way match between the top teams of these 3 brands, namely War Raiders, The Revival, and The Usos is just what a Tag Team Wrestling lover wants. Tag Team wrestling at its best!